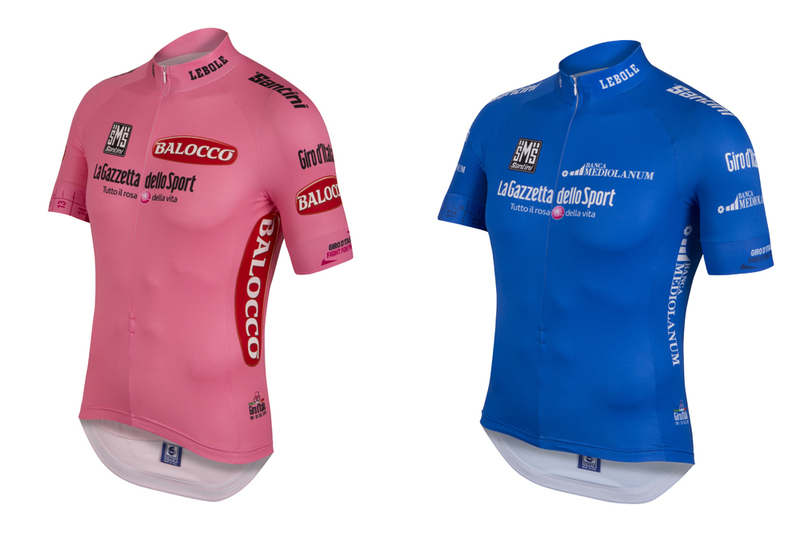 RCS Sport, organisers of the Giro d’Italia, revealed the 2015 leaders’ jerseys in Florence on Tuesday, which will take on Italian brand, Lebole’s styling touch for 2015 and celebrate cycling clothing manufacturer, Santini’s 50th anniversary. “It’s an honour to provide the Giro d’Italia its jerseys,” said Monica Santini, CEO of Santini Maglificio Sportivo. 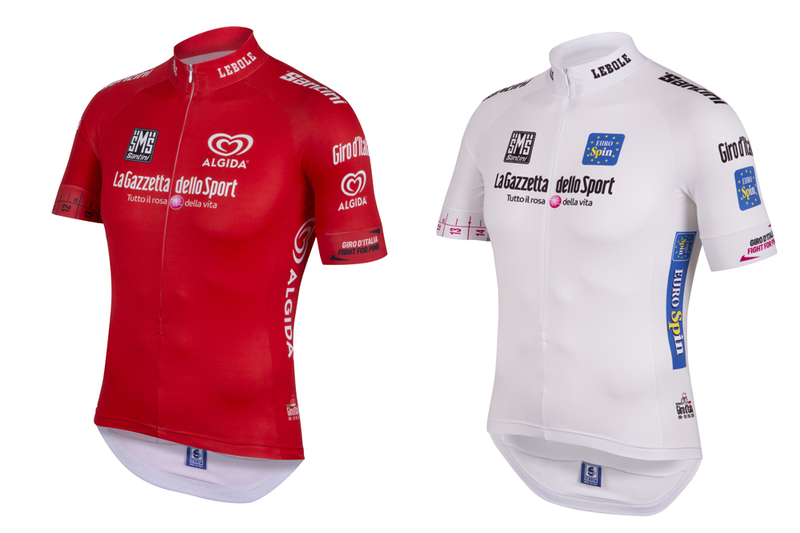 The jerseys stay the same for 2015: pink for the overall leader, red for the points, white for the young rider and blue for the mountains. The last major change came three years ago in 2012, when the mountains jersey traded its green for blue to celebrate Banca Mediolanum’s sponsorship. In 2010, red returned to replace the ciclamino or purple jersey. In 1931, the organiser introduced the pink jersey, which Learco Guerra was the first to wear after winning stage one in Mantova. The jerseys will be awarded for the first time after stage one of the Giro on May 9 in San Lorenzo al Mare. Nairo Quintana (Movistar) became the first Colombian to win the race overall and take home the pink jersey after the 2014 race finished in Trieste. Santini manufactures cycling clothing for recreational cyclists and to the professionals on WorldTour teams like LottoNL-Jumbo. For 2015, it celebrates 50 years since its beginning in 1965. Other designers including Dolce & Gabbana and Paul Smith have styled the Giro’s jerseys in recent years, but Italian menswear brand Lebole will bring its personal touch to the jerseys, which includes a tailor’s measuring tape around the right sleeve. RCS Sport used the jersey launch event to celebrate the classification sponsors – Balocco for the general , Algida for the points, Eurospin for the young rider and Banca Mediolanum for the mountains – and to introduce the Giro’s ‘madrina’ or godmother for 2015, Cristina Chiabotto. Chiabotto, Miss Italia 2004, follows in the footsteps of Yolanthe Cabau, Cristiana Capotondi, Giorgia Wurth, Alessia Ventura and Chiara Francini.